The Travel Planners welcomes you on arrival at Trivandrum International Airport/Railway station. Tour operators will make the arrangements to transfer you to Kovalam. 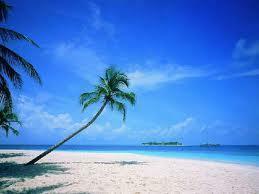 Kovalam is blessed with rich Greenery of Coconut Palms and laced with golden sands. After the 16 Kms drive from Trivandrum to kovalam, you can check in at the hotel. Rest of the day, you will get the time relax and enjoy the beach. Overnight stay will be there in the hotel. After breakfast you can go for Trivandrum City for sight seeing. This trip includes visit to the Padmananhaswamy temple, Horse Palace, Napier Museum and the Srichitra Art Gallery. After the sight seeing there in thiruvanathapuram city, you will transfer you to Hotel for Lunch. In Evening you can enjoy the beauty of the beach. Overnight stay will be arranged at Hotel. After breakfast, Houseboat will drop you at Kumarakom. Here you start the journey to Thekkady. On arrival at Thekkady, check into the Resort/Hotel. After having lunch, trip arranged to spice plantation like cardamom, Pepper, Coffee, and tea estate etc… On way back to hotel, you will get time to make shopping from the local market and pick up some fragrant spices. Overnight stay will be at Hotel. Early morning after breakfast you want to proceed to Munnar. On arrival at Munnar, check into Hotel. 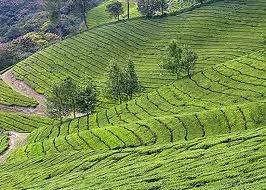 Afternoon is for sightseeing in Munnar which includes Raja Malai, a top peak of Munnar where you may see Neel Thar (mountain goats), Tea Museum, Mattupetty Dam, Eco-Point etc. Boating in the Lake is another option. Overnight stay at Hotel. After breakfast from Munnar Hotel & check out from there and Proceed to Cochin. On arrival check into Hotel. Afternoon you can go for the sightseeing of Cochin which includes 500 year old Portuguese Houses, the St Francis Church, the oldest Church in India, 16th century Synagogue, Cantilevered Chinese fishing nets, Jew Town and Mattancherry Palace; built by Portuguese, this Palace contains some of India's most beautiful murals. Evening go for shopping. Overnight will be there at Hotel. After breakfast, check out from Hotel. This is time for departure. Tour operators transfer you to Cochin Airport/Railway station for your onward journey. 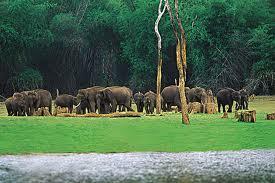 Stunning Backwaters of Kerala Tour Package by Kerala Holidays Pvt. Ltd. 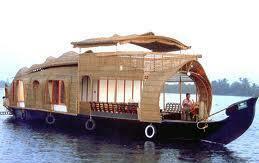 Stunning Backwaters of Kerala is a tour package offered by the Kerala Holidays Private Limited. This is a 3 nights and 4 days tour package covering Munnar and Kumarakom from Cochin along with a night stay in the Houseboats in the back waters of Kerala.